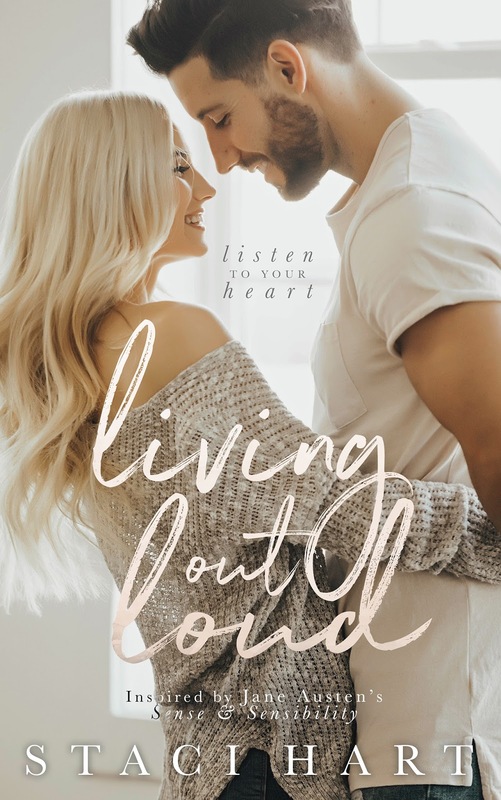 Inspired by Jane Austen's Sense and Sensibility and the third in Staci Hart's Austen series, Living Out Loud is a love story about a young woman who's faced heartbreaking adversity and vows to live each day to the fullest. 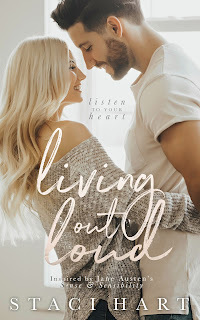 Annie Daschle heads to New York, bringing with her a list that she lives by, and she works her way through each item, enjoying every single moment, treating them as events and milestones, relishing in the memories she makes. From visiting different places to diving into new experiences, Annie embraces each thing that she check off her list. Even getting a job at Wasted Words has been ticked off. The one thing that wasn't on her list though was meeting someone like Greg Brandon, the charming bartender at Wasted Words. There's a connection there, but while Greg seems all be ready to explore it, Annie is hesitant, insisting that they remain friends and friends only. And then something happens to shake things up, leading Annie to come to the realization that there are things she can never plan for. They that the heart wants what it wants, and Annie's heart? It wants Greg...for as long as it can keep him.